Compatible with Microsoft HealthVault: Connect the unit to your computer using the included USB cable to log, track and share your readings online. 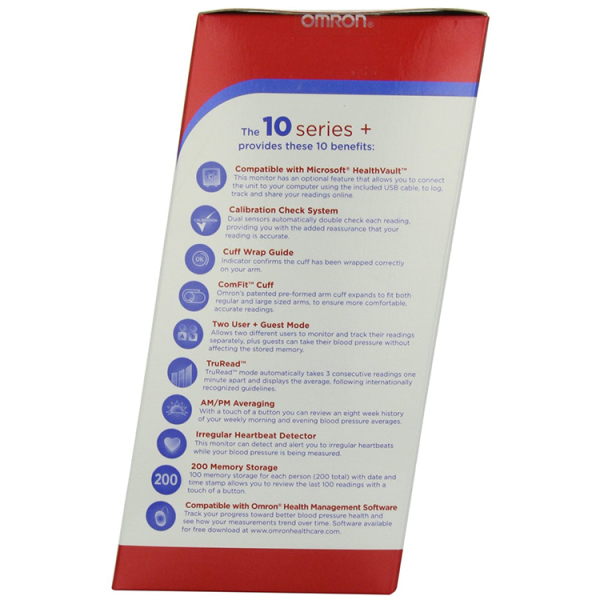 Compatible with Omron Health Management Software: Track your progress toward better blood pressure health and see how your measurements trend over time. Software CD not included with product. Calibration Check System: Dual sensors automatically double check each reading, providing you with added reassurance that each reading is accurate. Cuff Wrap Guide: Indicator confirms the cuff has been wrapped correctly on your arm. TruRead: Automatically takes three consecutive readings one minute apart and displays the average, following the internationally recognized guidelines for home blood pressure measurement. 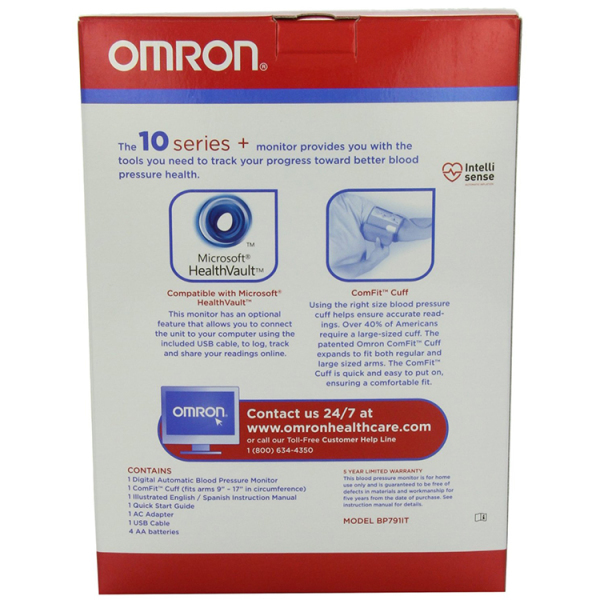 Comfit Cuff: Patented by Omron, the pre-formed arm cuff expands to fit both regular and large sized arms to ensure more comfortable, accurate readings. Two User Mode: Allows two different users to monitor and track their readings separately in the stored memory. 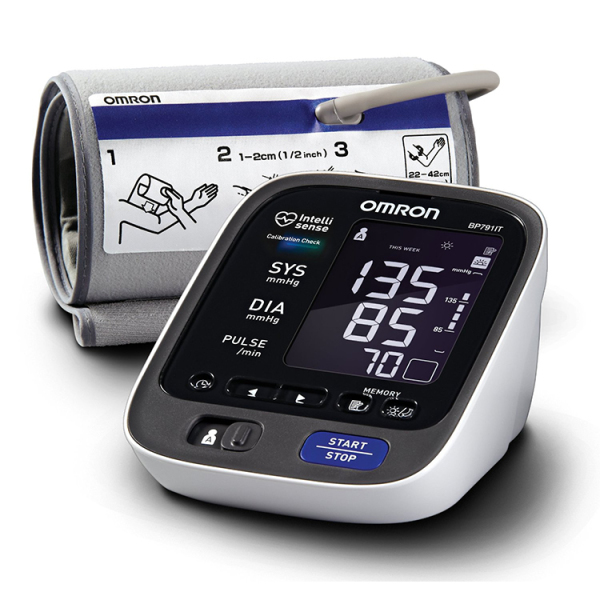 BP Level Indicator: Shows how your reading compares to internationally recognized guidelines for normal blood pressure levels. 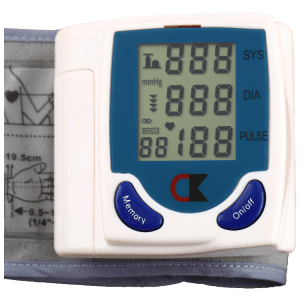 200 Memory Storage: 100 memory storage capacity for each user (200 total) with date and time stamp allows you to review the last 100 readings with a touch of a button. Irregular Heartbeat Detector: Detect irregular heartbeats while your blood pressure is being measured. If an irregular heartbeat is detected, an indicator icon will appear, alerting you so you can consult with your medical professional. 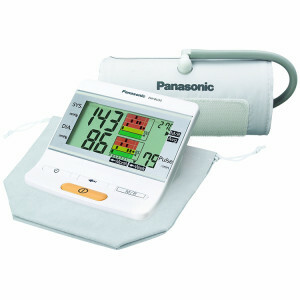 Advanced Averaging: With a touch of a button, you can review an eight week history of your weekly morning and evening blood pressure averages. AC Adapter: AC adapter plugs into your wall and ensures your monitor is ready to use whenever you are. 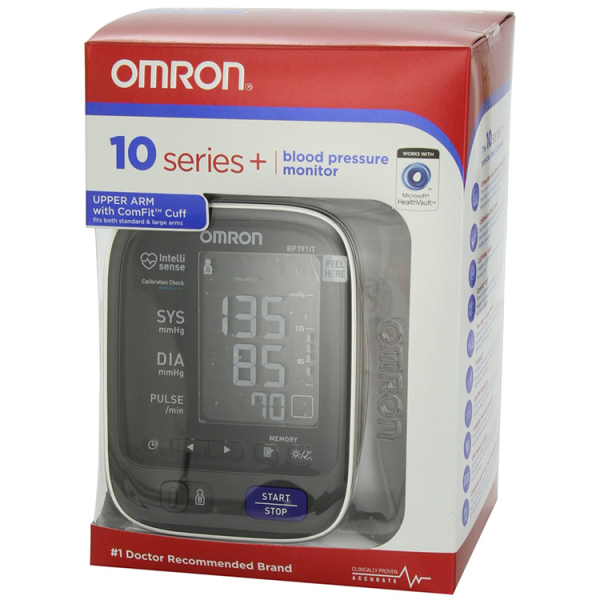 Includes: main unit, ComFit Cuff (9″-17″), USB cable, AC Adapter, 4 AA batteries, instruction manual and quick start guide. One-Touch Auto Inflate,Quiet, fast, no over-tightening,Body Movement Detection,Accurate measurement requires correct cuff placement and keeping your arm or wrist still. 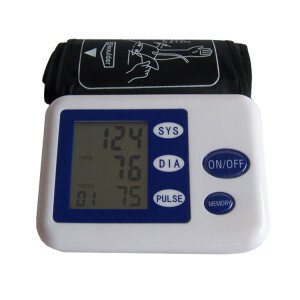 The Body Movement sensor detects arm or wrist motion and alerts you when another reading is necessary.Memory up to 270 Readings,Unit can store up to 270 readings,Irregular Pulse Function To insure maximum accuracy, the unit will automatically detect an irregular pulse or arm movement and display a corresponding icon alerting you to retake the measurement.Trend Graph Display Color display shows blood pressure trends over the course of a week or month. 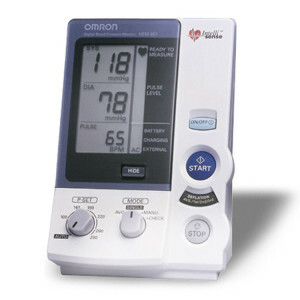 Shows your doctor your weekly and monthly fluctuation patterns Extra-wide LCD Displays large, clear characters for easy-to-read at a glance Shows measurements simultaneously – diastolic, systolic and pulse.AM/PM Comparison Unit detects high-risk “early morning hypertension” by showing average reading for AM and PM.Flash Warning System Flashing numbers alert you to readings indicating hypertension.Cuff Marks Marks on the cuff indicate users’ optimal arm width. Users can remember personal mark for the next reading.